— Submitted photo A character from the past: The late Jim McDonnell. Mac was rarely on time, he usually caught the most fish, and everyone always enjoyed being around him. The world needs more Mac’s. In my part of the world, North Iowa, there’s still too much ice to go open water fishing, but not enough ice to walk on. So I’m still kind of in that “Looking Back” and “Remember When” mode. I remember back in the day, which would be the mid to late 70’s, we really didn’t employ many tactics for walleyes. 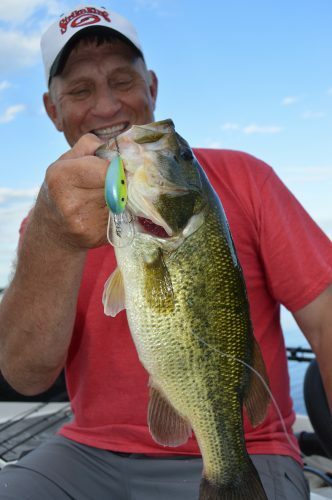 We used jigs and crude live-bait rigs. There were local and regional techniques, but they were just that: Local and regional techniques. 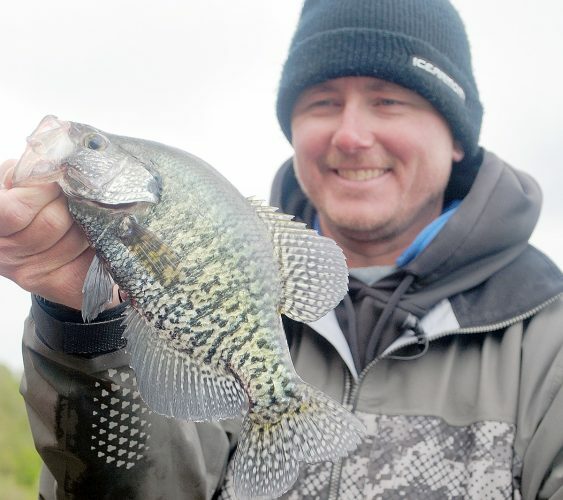 Then tournaments got popular and those local and regional techniques spread to other areas, and more anglers started employing those techniques, and they started catching more walleyes. Those were the pioneering days of walleye fishing and they were fun and exciting times. Those days introduced us to planer boards, slip-bobbers, and spinner rigs, all techniques that are a very prominent part of the walleye world today. I remember when people who participated in fishing tournaments wore normal shirts. I remember when there were, if I remember correctly, two different Rapala baits in the Rapala line: The Original Floater, I think #7 size, in black on silver and black on gold. There are more baits in that line now: Way more. And I look at where crankbaits are now. Strike King is known as a manufacturer of the some of the best bass baits around, but they create a walleye crankbait, the Lucky Shad, that looks so good it’s almost a piece of art. 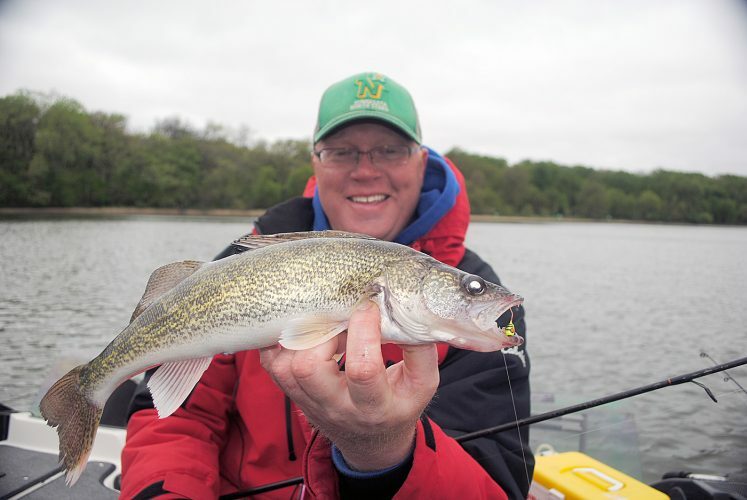 It’s very affordable, and it looks good to walleyes: Really good. 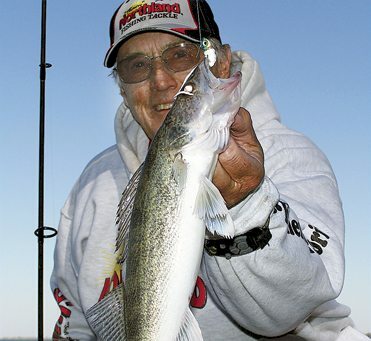 It’s become the “go-to” bait for walleyes for many very accomplished anglers. I remember when I moved to north central Minnesota, the Walker area, in the early 80’s. Many of my fishing friends couldn’t understand why I wanted to fish for largemouth bass. So I took them fishing for largemouth bass, and before long they understood why I liked to fish for largemouth bass. It was hard to find a good selection of bass baits in the stores back then, but it’s not anymore. The bass fishing was outstanding then, and it still is. And the walleye and musky fishing, for the most part, is much better today than it was then also. I remember when graphite rods first made their way onto the fishing scene. There was a rod company in Texas that hit the market hard. They produced rods that didn’t have a lot of action, they were about three times more expensive than what we were used to, and everybody had to have one. The rods available today at the same price are so much better. More and better actions, more sensitivity, more durability: A better rod for less money. I remember fishing lines back then. Pretty much everyone used monofilament, and it was okay monofilament, but our selection and quality today is so much better. We have a line we use for jigging on sand, a line for jigging in the weeds, and a line for jigging in deep water: We pretty much have lines that are made for any fishing situation. I remember when, to find the spot today where you caught’em yesterday, you used shoreline markers. If you were lucky, you were able to get close to the hot-spot the next time you returned by using those shoreline markers. With today’s electronics, you push a button and go right back to the spot. I like today’s method better. I remember how fishing used to be, and I remember how fishing is now. I like the catching a lot better now, but I miss many of the personalities of yester-year. We had more “characters” back in the day, but we catch more fish today. Fishing is what you make it: Make it fun.